There are some people in your life, who appear suddenly and make your day. The weird feeling of having her before or meeting with her ,before questions your mind and then your mind gives up, so you called them “friendly”. Santa Cecilia has very friendly feature. She might have the character because of her original name which means that the way for the blind in Latin, or her fame of color in classic kitchen remodeling. 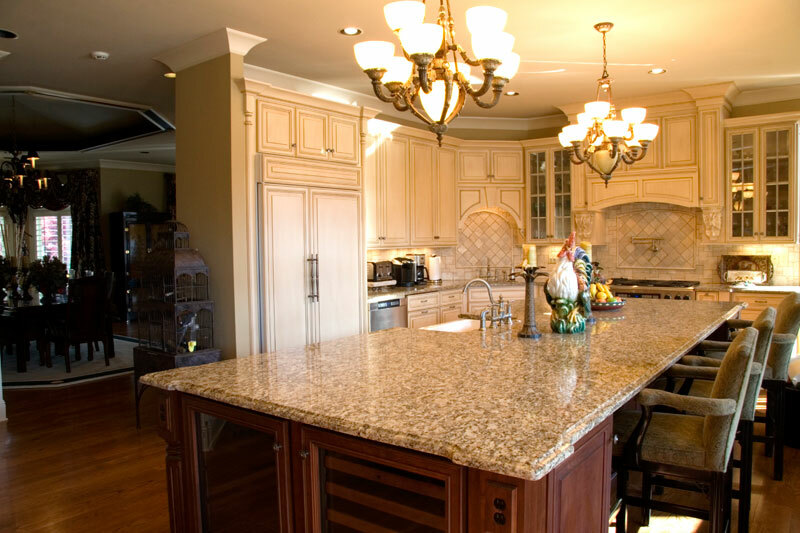 She has kept her popularity since granite countertop became fashionable in 1990. 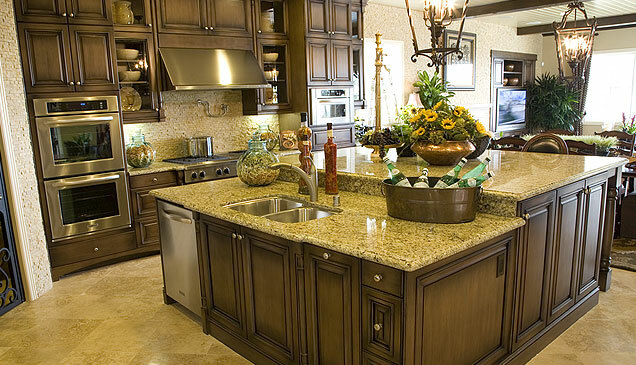 The Brazilian Classic Santa Cecilia Granite is from the same family of Giallo Cecelia and Amber Yellow. The confusion between the Venetian Gold happens very often. To prevent the confusion, it is good to know that Santa Cecilia has a flow and Venetian Gold is without flow. In her flow, speckles are golden, bronze, brown and gray. Santa Cecilia granite is very friendly with cream or bone tone backsplashes; crackle tiles, cupper mosaic backsplash and light travertine. 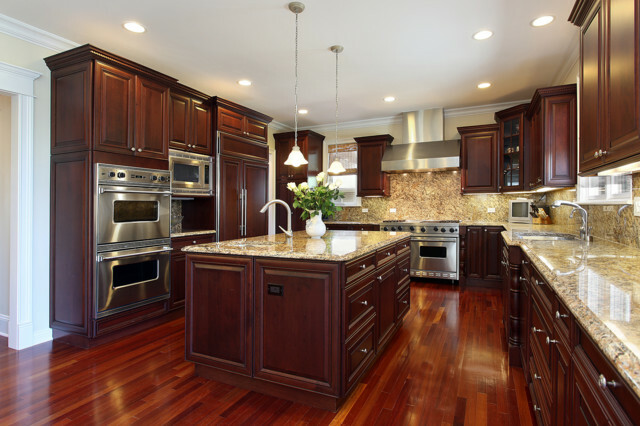 Her friendly features make most color of cabinets happy: The dark oak cabinets, Eddie Bauer fig color cabinets, Wyoming Cherry Spice, Scottsdale Maple Espresso and Andover Maple Spice, Butterscotch can be a flirting playmate for her. Picture Credit: Sweet Home Caroline. I was surfing in the internet and this blog made my day. Marriage of Butterscotch cabinets and Santa Cecilia , Happily ever after! I think, the under wall cabinet lighting is such a good addition to this couple. Thank you very much Sweet Home Caroline. Picture credit: Gallery Hip. Dancing with the stars. 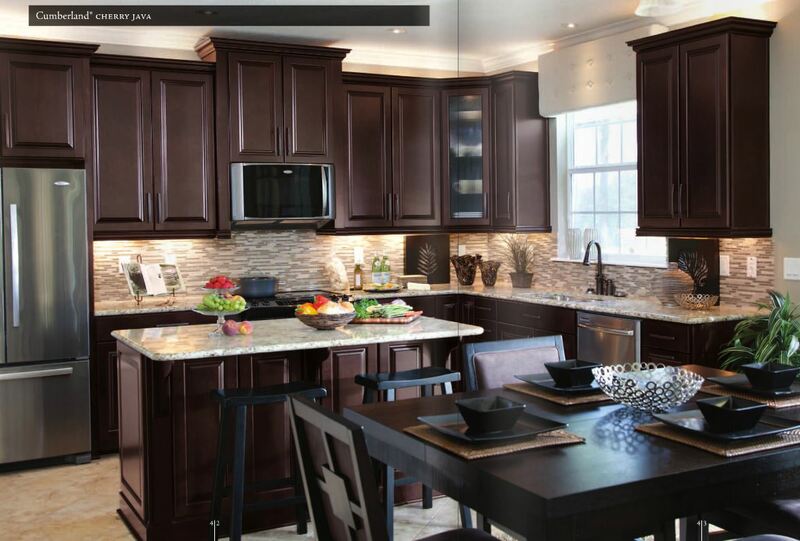 Cumberland Cherry Java cabinets and santa cecilia granite. Natural mosaic tile is like the embellishment. 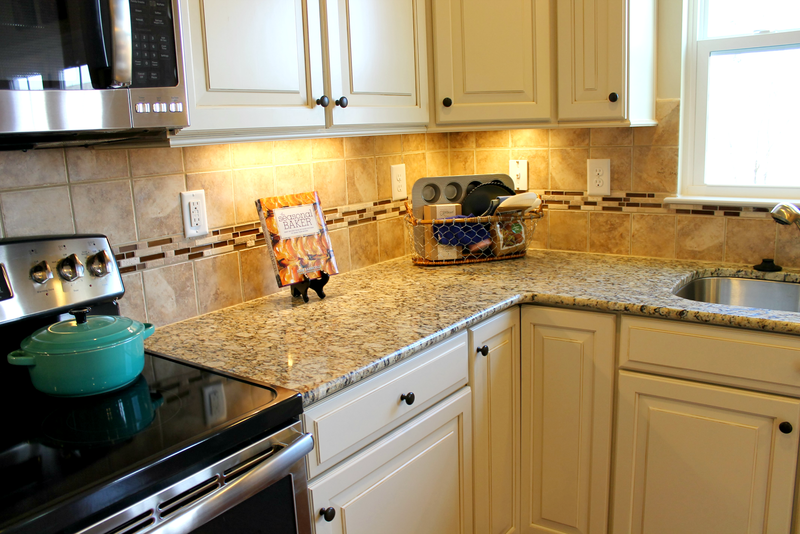 Santa Cecilia Countertop and Full Height Backsplash with Auburn Cabinets. Picture credit: Virtual Warehouse. Traditional kitchen with santa cecilia granite countertop and full height backsplash. I am totally mesmerized.